There are too many things ready to bother you when you shift to a new city. Adjusting to the weather, co-operating in the new work atmosphere, finding an accommodation and figuring out places to eat. Your struggle for finding good south Indian food is over. No more dealing with north Indian food, if you don’t like it. 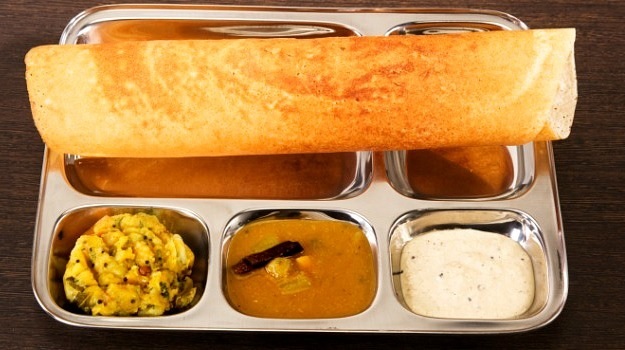 Take a look at this list of south Indian eateries in Delhi. Situated on Gurudwara Road in Karol Bagh, this place comes across as a shady place for the first timer. But, once you taste their food, you will enter a whole new world of yummy food. It fetches good reviews from most south Indians, especially Tamilians. The mess is run by a Tamil family, offering exquisite Chettinad cuisine from veg to non-veg. With two branches located in Connaught Place (C.P.) and Janpath, SarvanaBhavan is a local favourite of not only south Indians, but also people from Delhi. Well known for their servings of Mini Idlis and Dosas, this restaurant is a family favourite in Delhi. Their meals are sumptuous enough and the food taste is equally authentic, making you feel as if you’re eating in Chennai or Bangalore. The regulars recommend trying ‘PanchvarnamUttapam’ and their ice-cream here. With scattered branches across Delhi, Vaango! remains a local go-to south Indian restaurant in Delhi. Known for their Dosa preparations and filter coffee, this chain can be frequented by south Indian bachelors living in Delhi. If you’re done with settling down and finding a house in this new city, you wouldn’t want to waste your energy on finding a south Indian restaurant. Just head to out to the nearest Vaango! food joint. When you visit Carnatic Cafe in The India Mall, pick any item from the menu without thinking twice. The food is guaranteed to be tasty. The taste of the food remains as good as the ambience of the restaurant. The RavaIdli, Paddu and KesariBhaat served at Carnatic attracts people from all over the city. You wouldn’t be able to figure out the difference between places, if you visit Carnatic Cafe, straight after landing to Delhi from Tamil Nadu. And yes, don’t be surprised if there’s a waiting queue to enter the restaurant. It’s quite in demand, especially on weekends. Andhra cuisine is famous for its Hyderabadi Biryani and there cannot be a better place to find it in Delhi. Andhra Bhavan attracts a lot of crowd on weekends for their delicious Hyderabadi Biryani and other non-vegetarian preparations like the Chicken Curry and Mutton Fry. Situated on the Feroze Shah Road, this place offers budget-friendly food, that’s a treat to your taste buds. Make sure you reach there before the hunger pangs hit you hard. This place is thronged by bachelors and millennials during lunch hours. The service is pretty quick though. They’ll ensure that you have a wholesome and yummy meal before leaving the place. If you’re in the mood to eat at a cheap place that serves pure veg south Indian food, Anna Mess is the perfect place to head to. Located on the Ajmal Khan Road in Karol Bagh, this place is known to serve mediocre food for a hungry south Indian. Again, this is a Tamilian eatery, serving south Indian food for the ones on a tight budget.